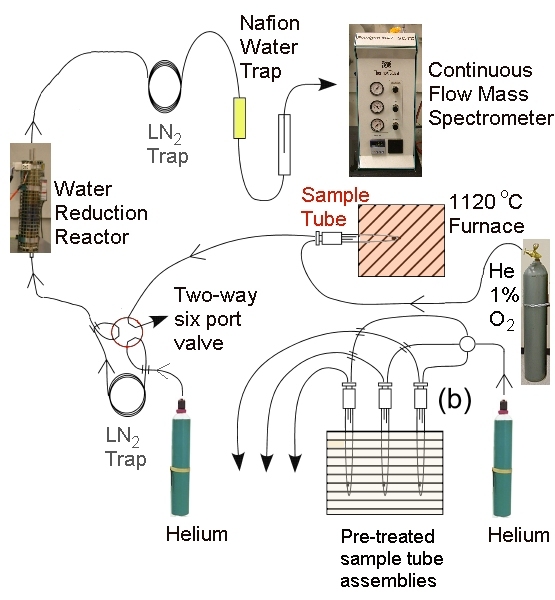 We present a method for on-line dehydration of small quantities of hydrous and nominally anhydrous minerals followed by measurement of the absolute abundance of hydrogen released from the sample by continuous-flow mass spectrometry. This method is appropriate for measuring water content between 18 ppm and 10 wt % H2O and requires a minimum of ~ 2 × 10-8 moles of hydrogen per analysis. 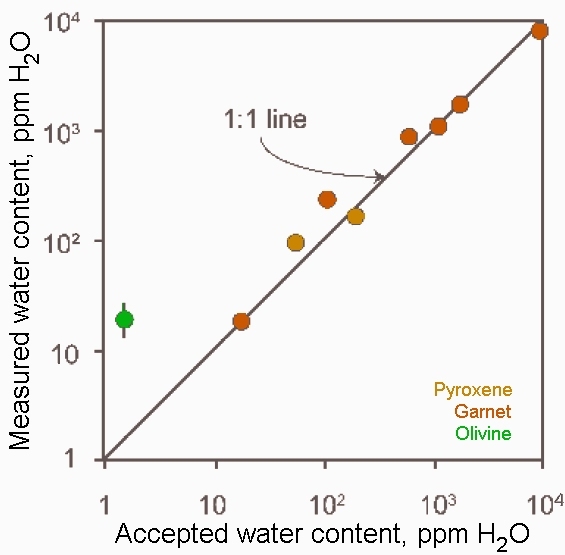 The hydrogen needed for an analysis corresponds to 10-200 µg of hydrous minerals or 5-40 mg of nominally anhydrous minerals. 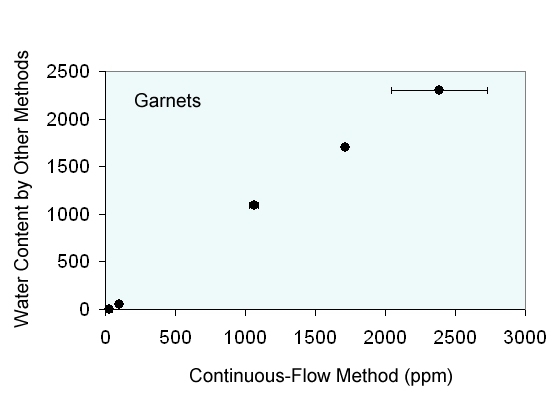 We develop measurement protocols for garnet and pyroxene, two nominally anhydrous minerals that are potentially major reservoirs of hydrogen in the mantle. 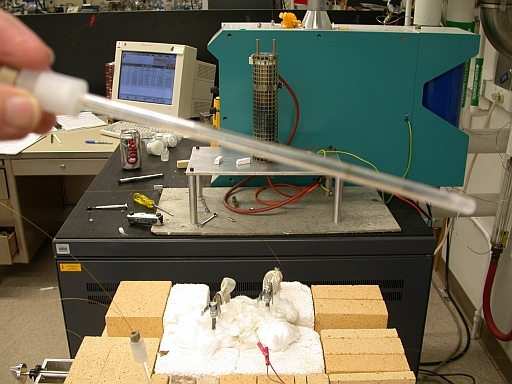 Sample tube in front, light orange furnace below, green mass spectrometer behind the vertical furnace containing the uranium wire water reduction unit.